through their emphasis on lightness and transparency. On The Museum of Modern Art, New York; Whitney Museum of American Art, New York; de Young Museum, San Francisco; San Francisco Museum of Modern Art; San Jose Museum of Art, California; and and Crystal Bridges Museum of American Art, Bentonville, Arkansas. the São Paulo Biennial (1955) and The Museum of Modern Art, New York (1959), among others. at the Whitney Museum of American Art’s new building. Renwick Gallery, Smithsonian American Art Museum, Washington, D.C. (2010). Hammer Museum, Los Angeles; and Wexner Center for the Arts in Columbus, Ohio. 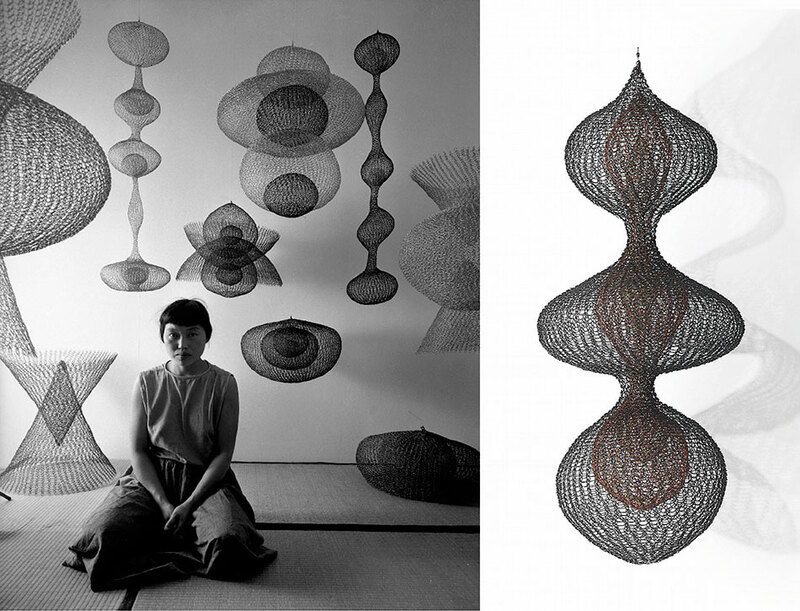 David Zwirner said, “The gallery is proud to be entrusted with the extraordinary legacy of Ruth Asawa, who started her career at Black Mountain College under Josef Albers’s tutelage. 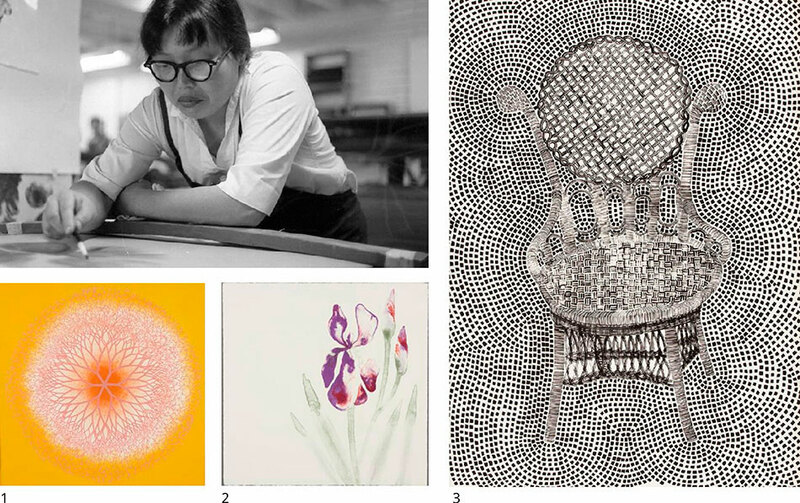 The intense focus of her work and the modesty of the materials align her closely with Yayoi Kusama, both of whom in the 1950s foreshadowed the reductivist and minimalist tendencies of the 1960s. Laib joined the gallery in January 2017 as Director. Laib was previously a Senior Vice President, Senior Specialist in Postwar & Contemporary Art at Christie’s auction house, where he worked for 17 years. He was active in pursuing and creating private selling exhibitions at Christie’s before these practices became commonplace at auction houses. In 2013 and 2015, he organized two exhibitions at Christie’s dedicated to the work of Asawa, then under-known, to much critical acclaim. 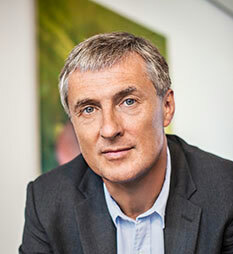 He is regarded as the authority on Asawa and will continue to work with the artist’s estate at David Zwirner. 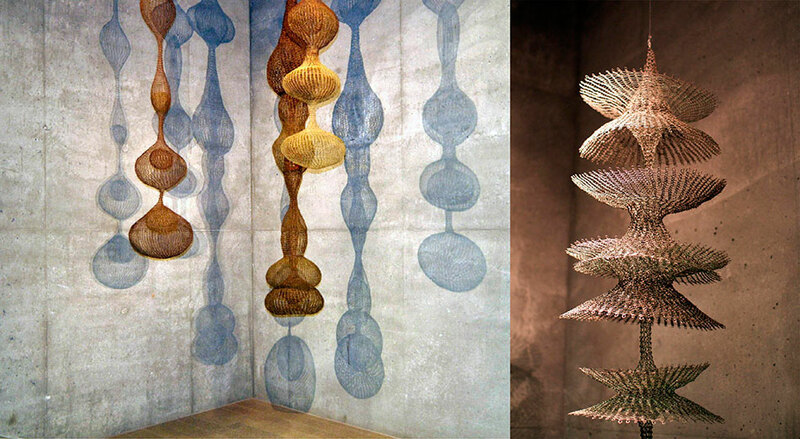 In addition to her wire sculptures, Asawa is well known for her public commissions, particularly in San Francisco and the wider Bay Area. These include the much beloved fountains in Ghirardelli Square (1968) and outside the Grand Hyatt San Francisco (1973), the latter of which comprises hundreds of clay images molded by local schoolchildren, friends, and other artists cast in bronze. 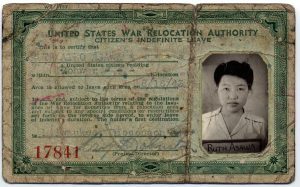 She was born in rural California to Japanese immigrants barred from land ownership and American citizenship; during the Second World War, she and her family were detained in internment camps. 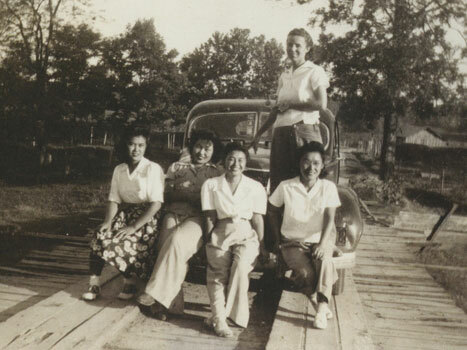 Originally housed for five months in the stables of the Santa Anita Park racetrack, they were eventually relocated to Rohwer, Arkansas, where Asawa graduated from the camp’s high school in 1943. It was during her internment in Santa Anita, however, that Asawa discovered professional artists, learning to draw from Walt Disney animators who were likewise interned. Following her release in 1943, she enrolled in Milwaukee State Teachers College, but was unable to receive her degree due to continued hostility against Japanese Americans. 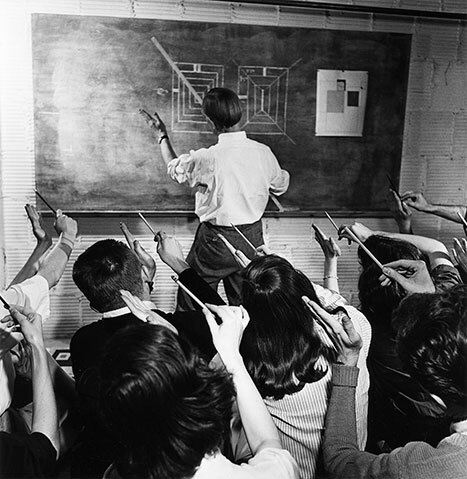 In 1946, Asawa began to study at Black Mountain College in North Carolina, renowned at the time for its progressive pedagogical methods and avant-garde aesthetic milieu. Photo: Ruth (second from left) and her teacher, Mrs. Beasley (standing), with other students at Rohwer, 1943. Photograph by Mabel Rose Jamison. Here, Asawa absorbed the vital teachings and influences of Josef Albers, Buckminster Fuller, and Merce Cunningham, among others, and embraced her own vocation as an artist. 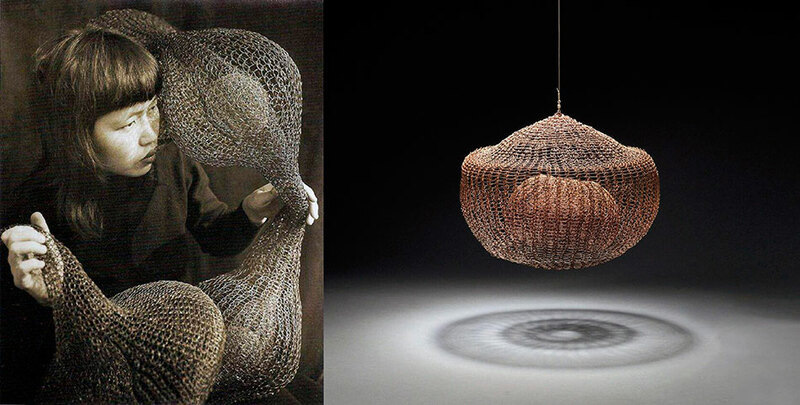 It was at Black Mountain that Asawa began to explore wire as a medium, inspired by a 1947 trip to Mexico during which local craftsmen taught her how to loop baskets out of this material. 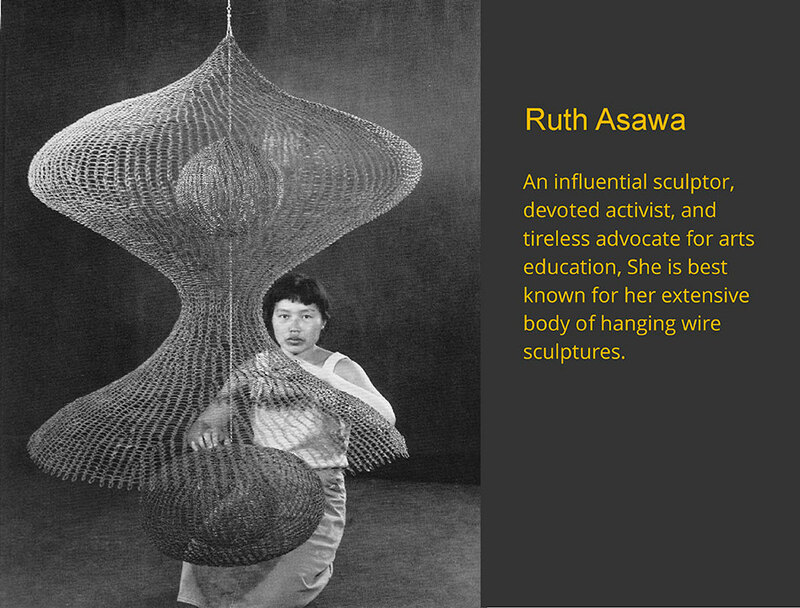 Upon moving to San Francisco in 1949, Asawa, a firm believer in the radical potential of arts education from her time at Black Mountain College, devoted herself to expanding access to art-focused educational programs. 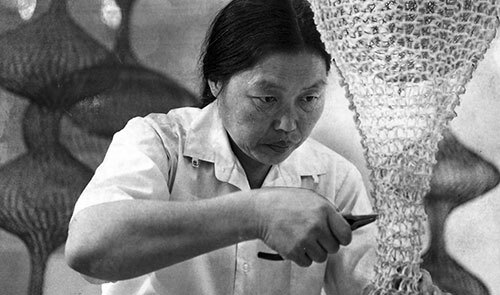 She co-founded the Alvarado Arts Workshop in 1968 and was instrumental in the opening of the first public arts high school in San Francisco in 1982, which was renamed the Ruth Asawa San Francisco School of the Arts in her honor in 2010.